with Co-Hosts Long Island Restaurant Review, Mama Foster and Dividing by Zero. This Mother's Day, we've decided to give away a Keurig K40 Single Home Brewing System. This awesome prize pack comes with 48 K-Cups, a My K-Cup and a water filter. Retail value: $165. You have a whole month to enter, so take advantage of the entries you can do daily! Giveaway runs 4/1 at 7am EST to 5/1 at 11:59pm EST. Open to US Residents Only. Good luck! Participating bloggers were not compensated for this post. 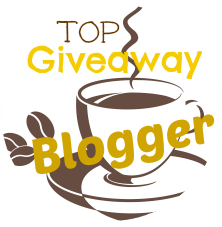 Giveaway is not affiliated wtih Facebook, Twitter, Pinterest or any other social media sites. All entries will be verified. Winner will be notified via e-mail and have 48 hours to claim prize before new winner is chosen. A Sensible Momma is responsible for prize fulfillment. Direct any questions to Anna at asensiblemomma [at] gmail [dot] com. I really want one of these, I don't have a coffeemaker at all :( I also want it because I love lattes/cappuccinos and Keurigs can do that too! Plus hot chocolate and tea? Nothing better! I want one of these because I would love to clear up some counter space! I am a tea drinker, my hubby is a coffee drinker so between my tea kettle and the coffee maker it just takes up to much space! Plus we waste a lot of coffee making a pot for him and he sometimes can't finish it. So single serve would be nice! I would love to win this so my coffee routine would be easier!